The downloadable rhythm game that utilizes the existing song library of the popular Rock Band series achieved 116,426 sales between the dates of August 27 and September 30. 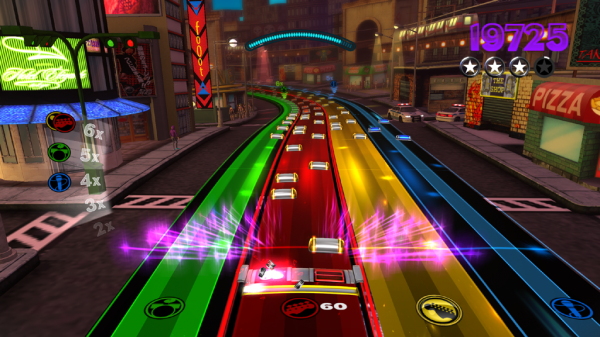 Offering a unique spin on the traditional Rock Band formula (with the franchise’s instrument controllers eschewed in favor of the humble gamepad), Rock Band Blitz achieved a Metacritic review average of 78. Despite achieving a Metacritic average rating of 90, the highest for an XBLA release during the month, Klei’s 2D, side-scrolling stealth game Mark of the Ninja came in well behind Blitz at second place with 52,283 sales as of September 30. In third place with 21,223 sales was Sega’s HD re-release of Jet Set Radio, which managed a Metacritic average of 72. Other notable releases within the same period include Fire Pro Wrestling with 10,901 sales, and Joe Danger 2 with 6,055. Also noteworthy from the Gamasutra piece is that 2010 XBLA favorite Limbo has finally achieved the 1 million-player milestone, while this July’s Tony Hawk’s Pro Skater HD has now reached 200,000 players.